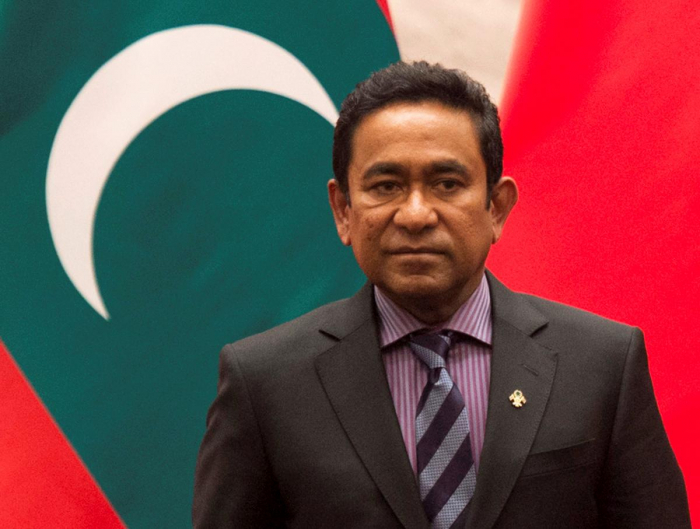 Police in the Maldives have summoned former president Abdulla Yameen for questioning as part of investigations into deals he made during his tenure, many of them involving Chinese infrastructure projects, his party said, Reuters reported. Yameen lost a presidential election in September and the new government of his successor, Mohamed Ibrahim Solih, has been trying to determine the extent of Chinese loans to finance a construction boom in the Indian Ocean island nation. “The service is investigating reports forwarded by state institutions that allege former president Abdulla Yameen conducted illicit financial transactions while he was president,” police said in a statement late on Thursday. Yameen has denied any wrongdoing and said that he took on loans to accelerate economic development. Critics have alleged that contracts were given to Chinese companies at inflated prices, such as a bridge connecting the capital Male to the main airport of the palm-fringed islands famous for their luxury diving resorts. Mohamed Hussain Shareef, secretary-general of Yameen’s Progressive Party of Maldives, said police had asked the former president to appear at their headquarters on Saturday. The Maldives have become the latest battleground for influence between old rivals India and China. Yameen steered the country of just over 400,000 people closer to China, away from traditional partner India. But since Yameen’s surprise election defeat, India has been re-exerting its influence. On Monday, new president Solih will travel to India on his first overseas visit since taking over as president last month.